Denim: thinking about styling tan shoes with denim? 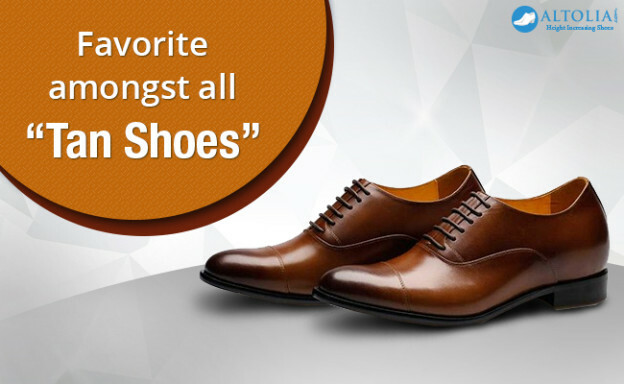 Make sure your shoe must be of casual style rather going for formal style. Dark, light or even distressed denim will go perfectly with tan footwear. All you can do is roll the bottom of your jeans a little and you are ready to go. Grey and Navy suits: slim, bold and short cut – that's how you must style grey or a navy suit. For this versatile outfit you obviously need the perfect footwear to complete your look, so why not styling Italian brogues for a sophisticated and a clean look. Colored Pants: whether you are thinking to wear a pair of white, green or red pants, tan shoes will fit perfectly into the style equation. Just to elaborate more; when you are wearing some bold colors – monk strap shoes will add more elegance to your outfit thereby giving you a perfect European style. It's okay to do experiment with your style occasionally but make sure it don't turn out to be a fashion disaster. On That Note: Tan shoes look stylish whether you wear them with socks or without, for the colder months Tan styles are best paired with unique and fun patterned in stripes or in sports. So, what are you waiting for? Pick your favorite Tan shoes and glam up your outfit and style.